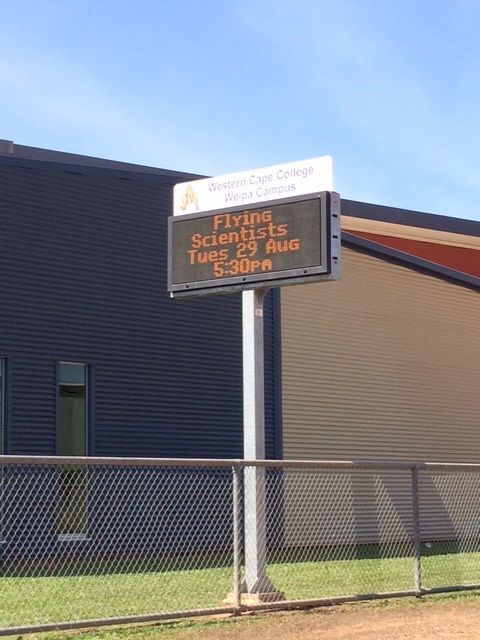 In collaboration with the Wonder of Science, we are excited to deliver the program 'Flying Scientists: Engaging Rural Queenslanders in Science'. 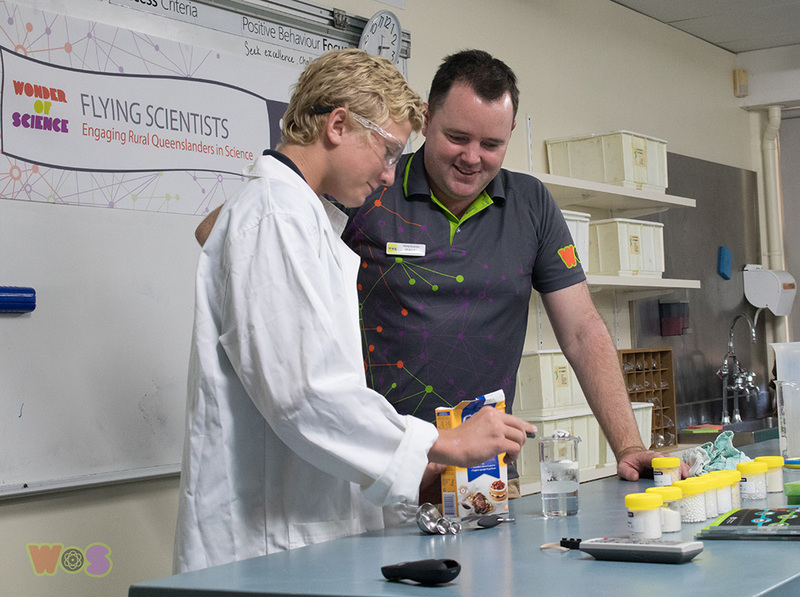 The Flying Scientists are early-mid career researchers that accompany Young Science Ambassadors into regional Queensland centres for community Science, Technology, Engineering and Maths (STEM) awareness events. 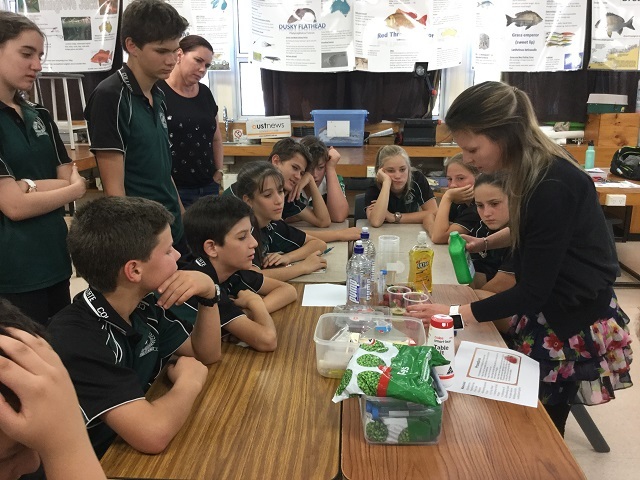 The program was developed to address the shortage of science related events convened outside South East Queensland – see a survey report (PDF, 1,010.0KB) commissioned by OQCS which highlights this. For more information visit the Flying Scientist page on the Wonder of Science website. Dr Vince Dalbo participated in the ‘Cool Jobs’ panel as part of World Science Festival. Each panellist talked about what inspired them to choose their careers and how they got there. Dr Dalbo specialises in exercise physiology and is interested in using diet and exercise to improve the health of the general population as well as optimising performance of athletes. 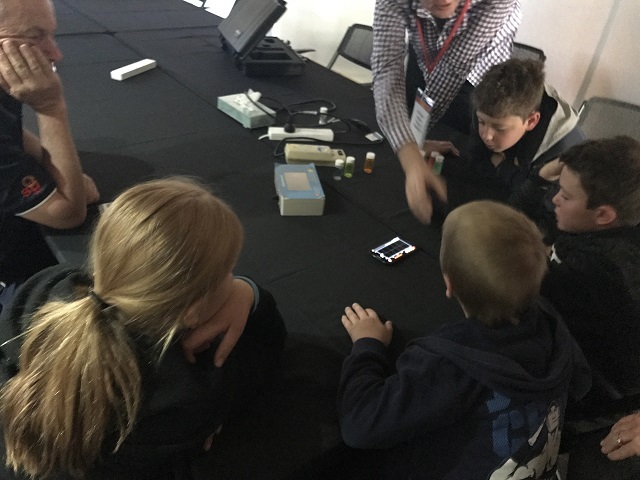 Dr Jonathan Peake was a panellist in the ‘Cool Jobs’ session and also facilitated a ‘Street Science’ exhibit as part of the World Science Festival community day in Chinchilla. Jonathan spoke to high school students all about his life as an exercise scientist and his work in exercise recovery. What does melanoma have to do with Bob Marley? Dr Ken Dutton-Regester enlightened the community in Taroom to explain this phenomenon. Ken's talk was followed by an engaging Q&A session with 2 other young science ambassadors. 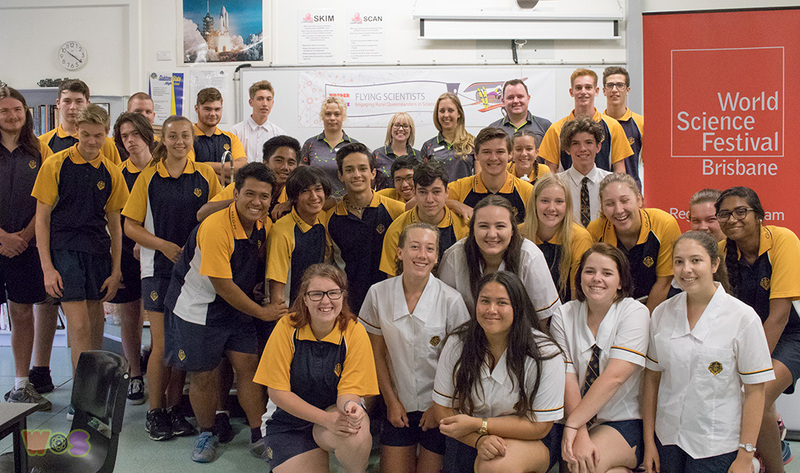 The researchers provided an opportunity for the audience to ask about the science happening in Queensland and what a STEM career was really like. Dr Ken Dutton-Regester brought his passion for medical research and science communication to Longreach as a panel member for ‘From Dinosaurs to Drones’—a free event held in regional Queensland for National Science Week. 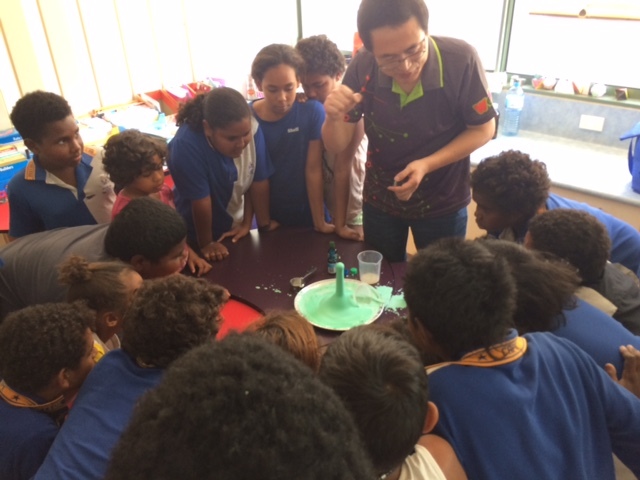 The following day, Ken shared his knowledge with Longreach school students about how sunscreen works and the important role it plays in reducing our risk of developing melanoma. What do Kakadu crocs prefer to snack on and wat does this tell us about wetland conservation? Dr Fernanda Adame spoke to the local community in Weipa about crocodiles and how they feed and move around wetlands as well as what this means for conservation. Fernanda was joined by Young Science Ambassador Dr Kaylene Butler, a palaeontologist. A Q&A session about science and STEM research careers followed. 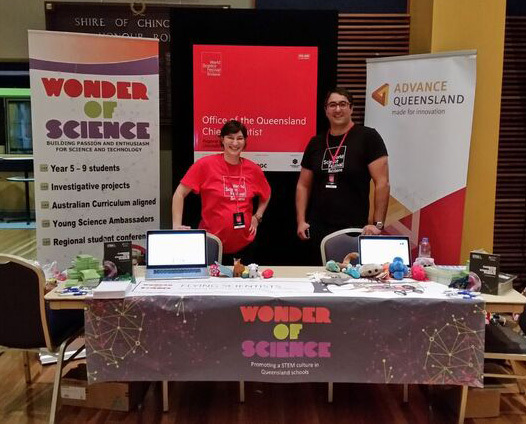 In 2017, 8 scientists (Dr Shihu Hu, Dr Soi Law, Dr Alice Hayward, Dr Paul Shaw, Dr Paul Luckman, Dr Makrina Totsika, Dr Dimitrios Vagenas and Dr Janine Hoormann) visited 6 locations across Queensland including Gladstone and Chinchilla as part of World Science Festival as well as Charleville, Mt Isa, Weipa and Calen (near Mackay). These scientists reached almost 6000 people with the Gladstone community event covering almost half of that figure. 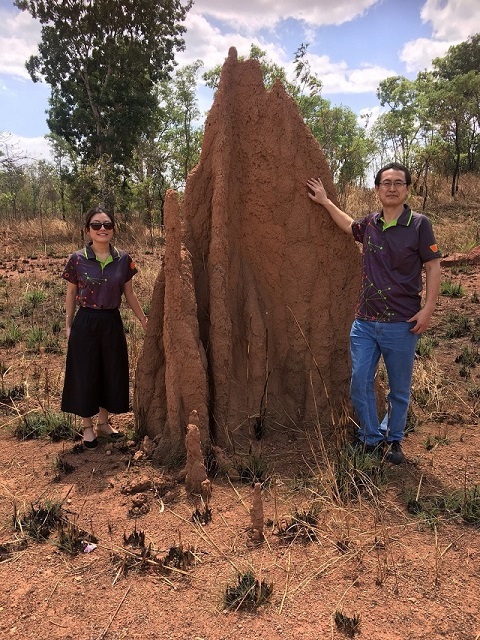 Three scientists (Dr Paul Pounds, Dr Cheryl McCarthy and Dr Kate Hutson) visited 5 regions across Queensland (Wandoan, Roma, Charleville, Longreach and Cooktown) reaching over 350 people.